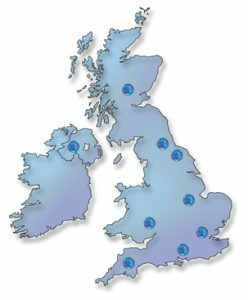 Our growing installation & service network is available nationwide for unbeatable service and support. All our service engineers across the country are UKAS accredited, therefore use specialist & calibrated instruments to check on-site equipment. We aknowledge that investing in the right garage equipment can be a strenuous task, especially when there’s so much to choose from. So many different specs for near enough the same equipment can get confusing and you may end up paying too much or worse end up with the wrong type of equipment altogether. Having been in the industry for many years, with rapid growth and expansion, you can always be assured that the service and quality of our products are high. Whether you are unsure about health and safety issues, MOT specifications, VOSA regulations or efficient use of workshop space, we are here to help. An important feature of our product portfolio is our ability to project manage the provision of new vehicle workshop facilities. V-Tech works with you to plan your new workshop layout, produce plan drawings using Computer assisted design technology, supply and install new equipment, compressed air and oil line systems, and most importantly work with your architects, other contractors, and VOSA to ensure that the creation of your new workshop runs smoothly. On receipt of an order, your project would be recorded on our systems and a project engineer manager assigned who would attend site meetings and provide on-going technical support. This is available for new builds of complete workshops, development of an MOT bay, or small extension of a workshop. You can take advantage of our prompt breakdown repair service even if you do not own a service itinary. Our team of experienced engineers are always on hand to return your calls and we have access to an comprehensive supply of parts for all of our equipment, of all ages. Also, if you require decommissioning of equipment or relocating we can handle this for you. We specialise in providing maintenance services to suit a wide range of equipment. Reliance on workshop equipment to generate revenue, and increased health & safety legislation mean that more and more managers are realising the benefits of planned preventative maintenance packages. Our service packages are designed to suite old and new equipment. Many people who have their equipment maintained often have up to six different companies servicing their equipment at a high cost and inconvenience. Our aim is to cover all of your equipment with one convenient, cost-effective package. During the many years that our company has been in existence, supplying and maintaining vehicle workshop equipment, we have found that the quality of service provided in the market place has varied considerably depending on which company has been involved. At V-Tech we train our engineers to complete thorough checks. We believe in being thorough with this for health and safety reasons to ensure, as far as possible, that future breakdowns on your equipment are kept to a minimum, thereby providing peace of mind. We always endeavour to offer the lowest prices possible but we will not compromise the quality of our service. It is our desire to provide a quality, value, and service. We know how important it is to keep an MOT bay up to standard. It is for this reason that we treat the provision of calibration contracts for MOT bays with such priority. We create a unique database record on our system for each contract and then we keep track of visits in the near future. We contact you prior to the calibration due date to agree an appointment. Ensuring that we are SIRA accredited means that we can calibrate and repair certain emissions equipment, along with most popular brake testing equipment and headlight testers. V-Tech organise your calibration to ensure you comply with ISO standards. All of our engineers are equipped with mobiles and are in continuining contact with project managers, who manage each contract using V-Tech’s bespoke computerised management system. Using this system we are able to inform you of expected arrival times, duration of jobs etc.